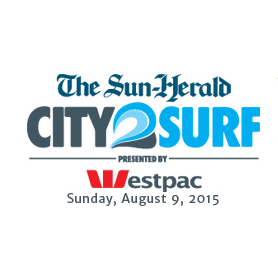 On Sunday 9th August 2015 some 80,000 people took up their joggers to compete in Sydney’s annual fun run City2Surf. Amongst the throng, 21 runners – Team Shepherd – ran in support of The Shepherd Centre to raise funds and awareness about its extraordinary work helping children who are deaf or hearing impaired learn to listen and speak. The team raised over $18,000! This wonderful donation will enable The Shepherd Centre to continue helping children with hearing loss develop spoken language, attend mainstream school and reach their full potential. Congratulations to everyone who participated in City2Surf and a big thank you to those who ran in support of The Shepherd Centre. If you would like to share a photo from the run, or make a donation to The Shepherd Centre, please contact our Events and Fundraising Coordinator, Hannah, by emailing [email protected] or calling 02 9370 4441.